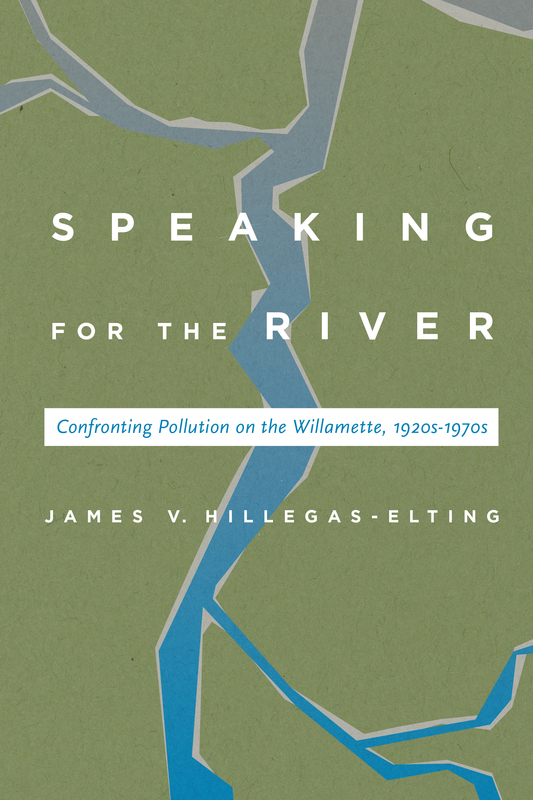 Speaking for the River: Confronting Pollution on the Willamette, 1920s-1970s came bubbling out of James V. Hillegas-Elting’s graduate thesis and strives to provide a nuanced look at the topic of Willamette River pollution abatement and its proponents. Described by those dearest to him as his second baby, James shares the labor of love that took this topic from question to idea to thesis to book, and explores where he hopes to see future research flow. Speaking for the River was a long-simmering project. I sent the initial manuscript draft to the press in March 2012, shortly before our daughter was born. This being my first book and my first child, I naively thought the hardest part was over, and revisions would go fairly quickly. I was wrong. I wasn’t able to devote time to this project until 2016, sending the revised manuscript to the press that summer. I’m grateful to the OSU Press team for being so patient and understanding as I missed deadline after deadline during these years. My wife is right in saying our daughter is my first baby, and this book my second! Reading this question early in graduate school, I wondered the same thing. I also wondered if this question contained the germ of a graduate thesis. Wherever I pursued my history graduate degree, I wanted to investigate a topic that would enable me to spend as much time as possible in the archives analyzing a topic of both regional and national relevance. I also wanted to study a topic I perceived as being relatively practical. 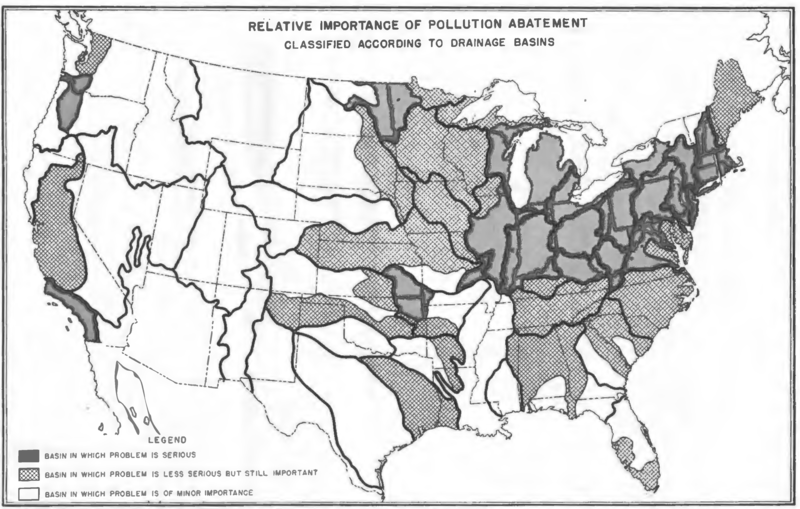 Urban environmental history in the nineteenth and twentieth centuries would enable me to learn the discipline of history while focusing on subjects relevant to governmental natural resource departments, consultants, legal firms, and others (where I might find future employment). I developed this preference for practicality growing up in small-town coastal Oregon in the 1980s and being the first person in my family to earn Bachelor’s and Master’s degrees. Portland State University offered all of these opportunities. Studying with professors (now emeritus) Bill Lang and Carl Abbott enabled me to learn from experts in environmental and urban history, respectively. Studying with David Johnson was my entrée into social and intellectual history. Being awarded a Caroline P. Stoel Editorial Fellowship on the Pacific Historical Review allowed me to learn about scholarly publishing and editing from the highly supportive expert Susan Wladaver Morgan, while also working with Carl and David in other ways. Early in graduate school I started visiting the Oregon Historical Society Research Library—an absolutely irreplaceable resource on the history of the American West. After reading Charlton’s letter in the papers he donated to this institution, the first step I took, of course, was to analyze what had already been written. Discussing my questions and preliminary findings with my advisor Bill Lang, it wasn’t long before I realized that, despite a number of authors who addressed the topic, Charlton’s questions were as yet unanswered. From this a Master’s thesis, and now a book, was born. Tom McCall’s important role in Oregon history, politics, and environmental policy is firmly established, and much is written about it. 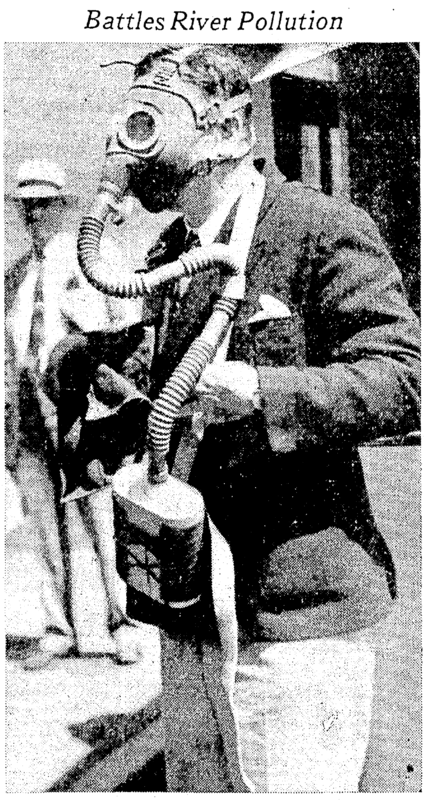 His association with Willamette River pollution abatement has received particular attention, beginning with Ethel Starbird’s 1972 National Geographic article “A River Restored” that established “what might be called the McCall version” of events Charlton questioned. As I delved deeper into the archival sources and compared what I’d found to what had been written by historians, journalists, political analysts, and others since the early 1970s, it dawned on me there was much more to the story. Many authors telling the Willamette River pollution abatement story hewed to the Great White Male narrative archetype. Archetypes are a consistent—some might say fundamental—aspect of human intellectual endeavor. Though purely a construct of the human intellect, they give us the shorthand necessary to make sense of the multivariate complexities of human experience. They help us by projecting form, structure, and consistency upon the chaos of the real world. We’ve evolved this tendency over tens of thousands of years because it serves a real and necessary purpose. There is a down-side, though. The multivariate complexities of human experience don’t always align neatly within our intellectual constructs. As many times as the archetypal “McCall version” of the story has been repeated, upon closer examination it doesn’t necessarily fit the facts. Part of what I wanted to do with this book was to offer a counter-interpretation to the Great White Male narrative. Yes, McCall was important to Oregon, but he’s not the center of the water pollution abatement story. Charlton also was not the center of the story—but his papers at the Oregon Historical Society are essential in identifying the individuals who dedicated years, even decades, to the cause. My book, I hope, provides readers with the names and motivations of some other key advocates, as well as the local, regional, and national context within which they existed. One might ask what end is served by de-centering a Great White Male narrative and recognizing the citizen advocates and ad hoc groups organizing on behalf of a cause. The answer is simple. The Great White Male archetype imparts the lesson that all of us “average” citizens should resign ourselves to waiting for some savior to alleviate the issue. This narrative/archetype is profoundly conservative and anti-democratic. The lesson to be learned from the more complex—but more accurate, and, I hope, more engaging—narrative in Speaking for the River is that it’s only through the dedicated efforts of concerned citizens, over many years, that real and lasting change occurs. This message is profoundly progressive, democratic, and empowering. The more I learn about McCall the more I appreciate him as a complex, flawed, passionate, results-oriented, far-thinking, and progressive person. His legacy need not be minimized by constraining him within a tired, conservative, and limiting archetype. In the context of Willamette River pollution abatement, my preference is that we broaden our understanding of the diversity of people, organizations, and motivations that really existed in the 40-plus years of abatement efforts before McCall, so we can better understand the 40-plus years of advocacy that has transpired since. I’m with Charlton: I’d rather live in a world of complexity, nuance, and historical accuracy than in a world of disempowering mythology. Tom McCall helped bring the era of egregious point source pollution in the Willamette Basin to an end; as advocates today will tell you, the current era is defined by much more challenging, persistent, and harmful kinds of pollutants. 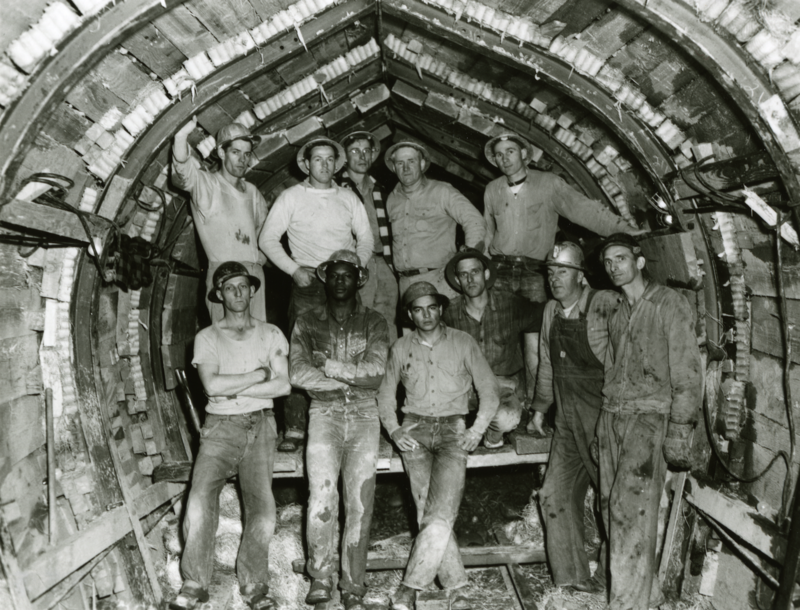 To paraphrase a November 1942 Winston Churchill speech, delivered in a markedly different context: McCall helped bring about an era of water pollution abatement in Oregon that was not the end, nor even the beginning of the end. But, rather, the end of the beginning. I’ll close this post by briefly outlining an intriguing possible future research area growing out of Speaking for the River. Whereas no research effort uncovers every possible source, and historical narratives are always evolving in the light of new evidence and revised interpretations, my extensive work did not uncover any explicit involvement of peoples of color in the abatement story from the 1920s into the 1970s. It uncovered only a few key references to the involvement of women in these campaigns. I would be very interested in working with scholars who would bring a background in these topics and knowledge of relevant archival sources. There’s an important story to be written analyzing the transition between the early years of pollution abatement and the current active involvement of the Portland Harbor Community Advisory Group, Portland Harbor Community Coalition, tribes, and others.